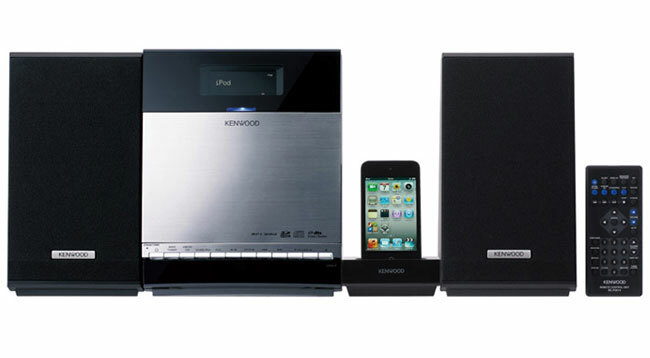 Kenwood has today announced a new iPhone/iPod compatible compact audio system they will be initially launching in Japan. The new Kenwood C-414 is equipped with a dedicated iPhone/iPod dock with DTS Envelo Technology that will give you direct access to your iPhone/iPod music library together with a FM Radio tuner and CD player. The Kenwood C-414 also support play back from either an SD Card or through its USB port and external hard drive. DTS have tweaked the system to provide a improved audio quality reproduction, regardless of the format used to store your music on your DAP thanks to the use of DTS Envelo Technology. Kenwood C-414 will be available in three different colour variation but unfortunately no information on pricing or worldwide availability has been released as yet.